The 70×170 (approx. 28” x 66”) Midi Strip generates a narrow band of light with which you can make excellent side or skylights. Very popular for car photography. 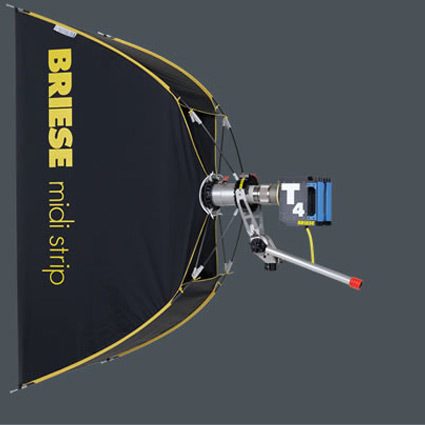 The Briese Midi Strip is compatible with the H2 (2K Tungsten) lamp head, as well as the 1.2K and 2.5K (HMI) T4 lamp head.